ATI XII's Session Hall full to the brim with eager learners during the Hydroponics seminar by Mr. Christian Castañeda. 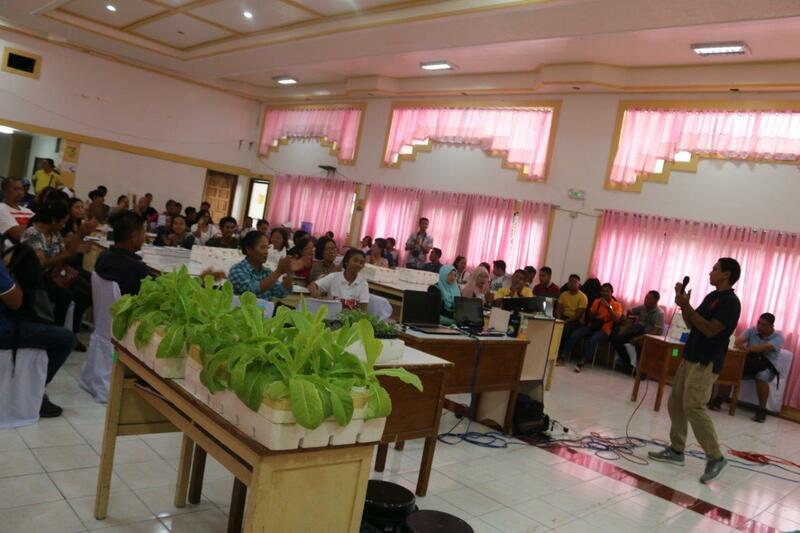 TANTANGAN, South Cotabato – Learning should never stop. Man must strive to continue to learn at any age level. The Agricultural Training Institute XII’s (ATI XII) mandate is supportive to this adage since its philosophy is to equip stakeholders from all over the Region with knowledge that can be used to uplift their wellbeing and economic status. On January 30, 2019, three seminars on Edible Landscaping, Free-range Chicken and Hydroponics were offered to the public for free. The Hydroponics seminar in particular, was discussed by Mr. Christian Castañeda, a Learning Site for Agriculture (LSA) cooperator owner of OrganiKian assisted by ATI XII. The turn-out of participants in this particular seminar is overwhelming and appreciated by the management. The seminar was initially set for 50 persons only but more came which shows that many clienteles are eager to learn something new. A total of 83 individuals coming from various places came and all were accommodated.